Our teeth have a major impact on our quality of life because they help us process our food. We tend to take them for granted when they’re doing well, but as soon as problems crop up, it’s pretty difficult to ignore them! The thing is, many people turn to brushing and flossing as the main solutions to dental problems. While doing so is a good idea, there may be more going on than insufficient tooth care. If your teeth are misaligned, flossing and brushing can only do so much. Additionally, misaligned teeth wear down unevenly, leading to more dental problems. 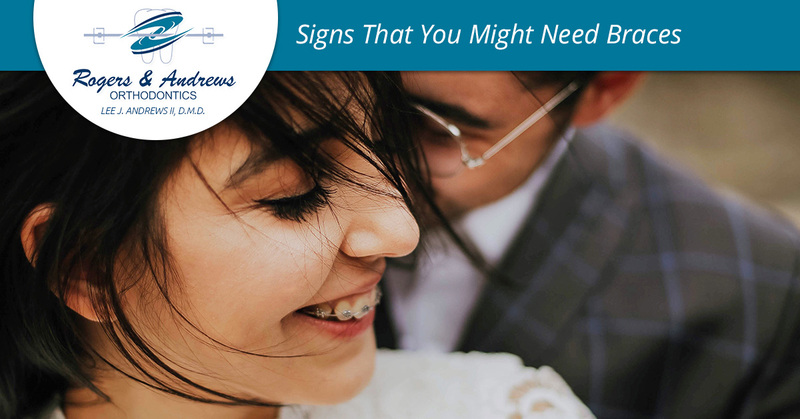 In today’s blog, we’re going to discuss just how important braces can be and signs that it’s time to consider getting them. Orthodontics problems don’t tend to get better with time. That means if you don’t get them fixed early, you’ll probably end up paying a lot to handle them later. Here are some clear signs that braces could really help you out. Your front teeth are more likely to be fractured if you get injured. Restorative work like veneers, crowns, and cosmetic fillings don’t last as long as they could. Your front teeth will wear down more quickly. Orthodontic treatment can solve an overbite and set you up for a good dental future. This is true whether you’re a kid or an adult. Over time, the crowding will just get worse, making it difficult to floss and brush correctly. If the problem gets severe enough, certain areas can become impossible to clean. The results are tooth decay, gum disease, jaw bone loss, and more. Orthodontics can get the teeth spread out and correctly aligned. While it is great to get braces at a young age, you can get them at any point. Avoiding dental complications is worth it! An underbite can make life more difficult than it needs to be. We can fix the issues and get you or your loved one set! The team at Rogers & Andrews is proud to be able to address this condition so that our patients can avoid troubling dental problems in the future. When you turn to our team, we can align your teeth so that they don’t wear down or fracture. Helping people live life to the fullest gives our team reasons to come to work every day. We are proud to be able to provide world-class orthodontic care to Augusta. When you choose our orthodontist team, you can rest assured that you’ll get the very best care available. Get in touch to learn more about how we can help your dental health today!